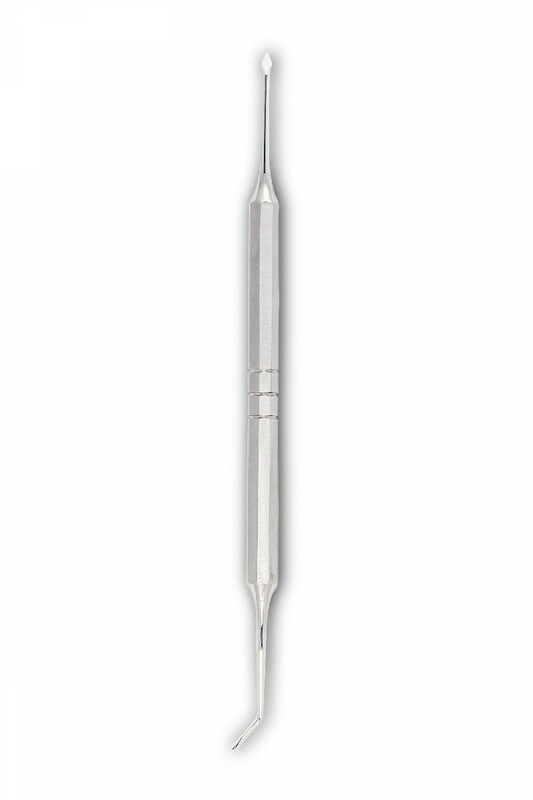 This periosteal elevator, designed for periodontal and mucogingival micro-surgery, features two work ends. The first has a lance-shape and is ideal for detaching the well-conformed interdental papillae, like the rear incisive papilla. The second, which features an angle greater than 90° with respect to the handle, easily detaches the lingual and palatal papillae working from the vestibular side.